October 2018 – Welcome to Wyandotte Daily! In only two days, the night sky around the National World War I Museum and Memorial will light up in a brilliant display to commemorate the centennial of the armistice. The “Peace and Remembrance” display will start at 7 p.m. Nov. 2 and continue through Nov. 11 at the museum. 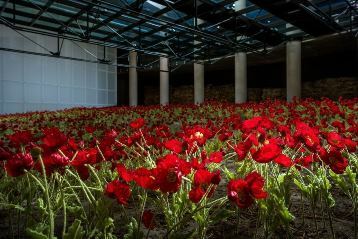 The 9 million soldiers who died in World War I will be honored by this display and also by other events at the national memorial, which is near 25th and Pershing Road in Kansas City, Missouri. The Great War ended on the 11th hour on the 11th day of the 11th month, and Nov. 11 was officially designated as Armistice Day by President Woodrow Wilson. The holiday was renamed Veterans Day in 1954. Events are scheduled from Nov. 1 through Nov. 11 at the World War I Museum to commemorate the centennial of the armistice. A special ceremony will be held at 9:30 a.m. Sunday, Nov. 11, at the museum courtyard, with readings of letters from soldiers, poetry and musical performances. The ceremony is free to the public. Admission to the World War I Museum will be free to veterans and active duty military personnel from Friday, Nov. 9, through Sunday, Nov. 11. Admission for the public will be half-price Nov. 9 to Nov. 11. There are also other parts of the celebration that are free. 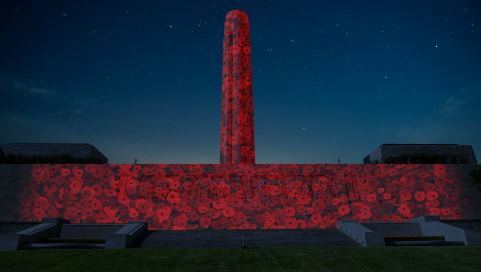 What: The official WWI memorial of the United States will be illuminated with a nearly 55 million pixel, 800,000 lumens display featuring more than 5,000 poppies each evening with a massive and moving light installation. At the top of each hour and at 30 minutes past each hour, special presentations of images, footage and details about World War I will appear. Peace and Remembrance occurs for nine days leading up to Nov. 11 in recognition of the nine million soldiers who made the ultimate sacrifice during the war. Peace and Remembrance will be viewable from a significant distance. The public is welcome to view the illumination from the grounds of the Museum and Memorial with the North Lawn being the best viewing location. Parking is available in the Museum and Memorial lots as well as along Kessler Road. The United States World War One Centennial Commission is the presenting sponsor of Peace and Remembrance. Free to the public. For more information, visit https://www.theworldwar.org/. Rep. Kevin Yoder went on a boat tour of the Kansas and Missouri rivers Wednesday with the Coast Guard. 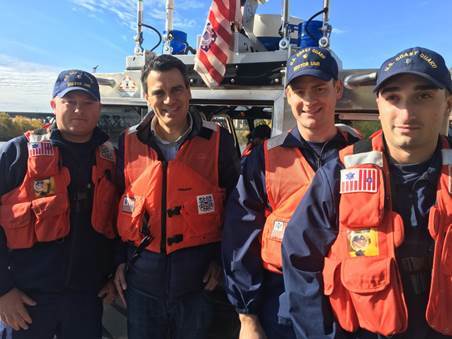 U.S. Rep. Kevin Yoder, who is the Homeland Security Appropriations chairman, toured the Kansas and Missouri rivers Wednesday morning with the U.S. Coast Guard and U.S. Army Corps of Engineers. The trip highlighted Coast Guard safety operations and Corps of Engineers projects in the Kansas City area. Yoder was accompanied by Mayor David Alvey, as well as members of the Fairfax Drainage District and Kaw Valley Drainage District. “The Kansas and Missouri Rivers are the lifeblood of our region, and I was pleased to see firsthand the impacts that federal investment in these rivers has on the Kansas City metro area,” Rep. Yoder said. “The levees in Kansas City protect billions of dollars in assets and many lives from disastrous floods. Currently, hundreds of millions of dollars in federal funding through the Army Corps of Engineers are being invested in raising and improving these levees, providing safety and peace of mind for the residents and businesses of our community. Earlier this year, Unified Government commissioners recognized the importance of federal grants in building up the levees in Kansas City, Kansas. A convicted felon who was under house arrest was indicted today on a federal charge of escaping custody, U.S. Attorney Stephen McAllister said. Joaquin Florez, 42, Kansas City, Kansas, is charged with one count of escaping federal custody. According to documents filed in the case, Florez was sentenced to federal prison in 2015 after being convicted on a drug charge. He was transferred from federal prison to home confinement in Kansas City, Kansas. On Sept. 13, 2018, the Bonner Springs Police Department notified the U.S. Probation Office that Florez was involved in a police chase in Bonner Springs. On the same day, Florez called the Grossman Residential Reentry Center in Leavenworth to say he was in a bind. He said he had purchased a vehicle and allowed a friend to drive it. He said the friend was involved in a chase with police, according to the U.S. attorney’s office. The director of the center ordered Florez to return to the center immediately. Florez did not report as required, the U.S. attorney’s office stated. If convicted, he faces up to five years in federal prison and a fine up to $250,000. The U.S. Marshals Service investigated. Assistant U.S. Attorney Tris Hunt is prosecuting.